López Obrador of the MORENA party is polling at 51 %, weeks before the July 1st election. We ask professor John M. Ackerman if such a lead is sustainable if PRI and PAN form an alliance to defeat him. 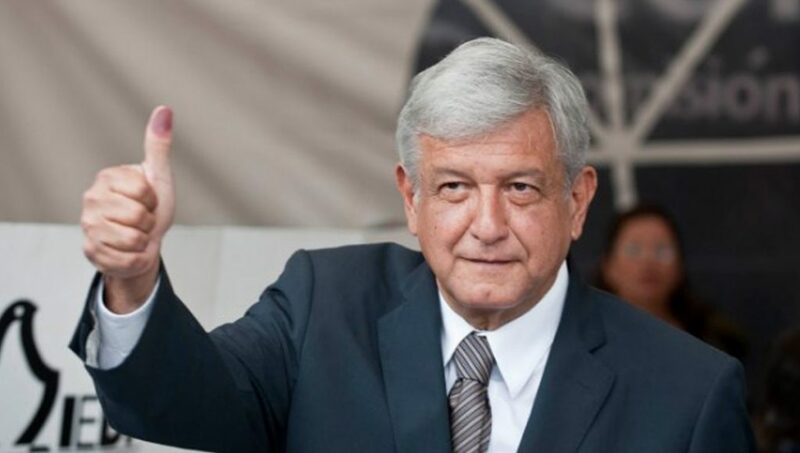 In the run up to the Mexican presidential elections on July 1, Morena candidate Andres Manual Lopez Obrador is taking a significant lead in the polls, at 51 percent. Ricardo Anaya of PAN, which is a Partido Accion Nacional candidate, at 25.4 percent in the polls. And closely behind him is Jose Antonio Meade at 20.5 percent for PRI, which is the Institutional Revolutionary Party. Joining me now to analyze the latest developments in Mexico’s presidential election campaign is John Ackerman. John is professor at the National Autonomous University of Mexico, UNAM, and editor in chief of the Mexican Law Review, and he is a columnist for the publication La Jornada newspaper and Proceso magazine. Now, for full disclosure, let me also say that Dr. Irma Erendira Sandoval is John’s wife, and she is one of the leading experts in anti-corruption theory and practice, and was recently announced by Lopez Obrador that she may be his future controller general if he wins the election. She does not receive any salary from Lopez Obrador or Morena party, nor does she work directly on the campaign. So with that in mind, thanks for joining us, John. JOHN ACKERMAN: A pleasure, as always. Greetings from Mexico City. SHARMINI PERIES: All right, John. Let’s start off with the current polls. We have Andres Lopez Obrador at 51 percent. He’s the candidate from Morena party. And we have Ricardo Anaya at 25.4 percent. He is the candidate for PAN. And then we have also Jose Antonio Meade running at 20.5 percent for the PRI party. Now, give us a sense of how accurate you think these polls are, and a sense of how these polls are conducted, and the methodology, and how reliable they are. JOHN ACKERMAN: The polls might actually be underestimating Lopez Obrador’s advantage. These pollsters are not left-wing, pro-Obrador pollsters. In fact, in the past they’ve been highly questioned for slanting the balance towards the sitting government, and against Lopez Obrador in past elections. Of course, in 2012 is a big scandal with, you know, poll manipulation. I guess Lopez Obrador, it’s hard to imagine now they’re somehow helping Lopez Obrador. The advantage, you could see it in the streets. You know, the rallies, Lopez Obrador rallies have turned into these massive festivities while the rallies of both Anaya and Meade are very low-key bureaucratic affairs, normally, that are between four walls. And so you can feel it on the streets. And the advantage is, you know, between 20 and 30 percent. Depending on the polls that, you know, that on average, the average you’re using is pretty correct. Of course, the big question is going to be turnout on election day. And you know, the government, at least some sectors of the government, the national oligarchy, are not ready to give up. You know, they want to bring things to the mat. Over the last few days, for instance, there’s been a very aggressive telephone, you know, robocall dirty war going on. You know, I myself and just about all my friends, I would probably say most Mexicans, millions of people in Mexico have received over the last two days very aggressive, intimidating supposed polls, which are basically push polls, anti-Lopez Obrador polls. My phone call actually came from Brazil. When you look at the number, it came in from Brazil. Some of them are coming in from Greece. You know, it’s, it is a lot of money going in here, a lot of negative, negative, you know, aggressive tactics going on. They’re desperate, and they’re trying to turn things around the last few weeks. But it looks, it looks like it will be difficult for them. SHARMINI PERIES: All right. Now, there is the question of these two parties that might form a coalition in order to defeat AMLO. Can you tell us about that coalition, and whether it might be successful? JOHN ACKERMAN: Well, the PRI and the PAN have been together for a long time. The PRI is the sitting government, the old authoritarian party. The PAN is the Christian Democratic right, which ruled Mexico between 2000-2012 with Vicente Fox and Felipe Calderon. The PRI and the PAN have been very close allies. Ideologically they’re both in favor of the neoliberal agenda, although they say they’re democratic. At least PANistas in the end, in practice, they’ve been continuing on with the authoritarian Mexican states. So they’re normally very close. They even have, you know, they go to each other’s parties, and all that kind of stuff. But in the end it looks like it’s going to be very difficult for the PRI and the PAN to finally come together. It looks like the PAN candidate, Ricardo Anaya, has really irritated and angered the sitting government, and so Pena Nieto is not willing to ally with the PAN, despite ideological affinities, and Pena Nieto wants to go with the PRI directly against Lopez Obrador. So it looks like there’s not going to be a real PRI-PAN alliance. And from the polls you’re seeing, Lopez Obrador has broken through the glass ceiling. In 2006 and 2012 he got a lot of votes, but he didn’t get beyond 40 percent. He had, you know, what was it, 30 and-, 33 and 32 percent in 2006 and 2012. And all of a sudden to be shooting up to 50 percent in the polls means that, you know, we’re in a different political conjuncture, which is very interesting. SHARMINI PERIES: All right. Now, the, one of the questions is where the business community, or big business, lies in this election. Now, Bloomberg magazine ran a headline that says “Mexico loves AMLO, but business not so much.” Yet I know, notice that in the last few weeks AMLO’s campaign has been making a special effort to reach out to the bigger business sector. Give us a sense of where that, those discussions are at, and how the business community is approaching the possibility of a Lopez Obrador presidency. JOHN ACKERMAN: Well, there are a couple of questions there. One is, you know, when we speak of the private sector, the business sector, we have to be very careful. Because you know, there’s the small group of oligarchs, 16 families who own half the Mexican economy. They, when they present themselves, publicly speak as, you know, we are the spokesmen of the private sector. They have published newspaper, full-page spread saying the private sector is worried about Lopez Obrador, you know, kind of trying to pressure him or threaten him to change his policies. And that’s been responded to, actually, by, you know, widespread protest against that. Protest from the private sector in general. You know, businessmen, entrepreneurs, small business owners throughout the country have responded, saying no, we are actually in favour of Lopez Obrador. The ones who are against Lopez Obrador are not really free market businessmen, they are oligarchs who have monopoly control over whole sectors of the economy, in many ways. These are sectors like, most of the, many of these sectors of the economy are actually state, state regulators or state property in terms of, you know, oil or telecoms, who, you know, they’ve gotten wealthy out of their corrupt deals with government. And so if you actually look at the private sector in general, I would say the majority is with Lopez Obrador in the urban sectors, that people with higher level of education, statistics in the polls show that they’re all with Lopez Obrador. Now, on the other side, Lopez Obrador has been making a very conscientious gesture towards private sector in general and also specifically towards these oligarchs. Just last week you had a breakfast with the Consejo Mexicano de Hombres de Negocios. This is sort of the, the top elite group of the 20-30 wealthiest businessmen in Mexico. He had a two-hour long breakfast with them and came out, you know, calm. They were calm, as well. It was a private affair, so we don’t know what happened there. But that gesture itself, that they had an encounter, a respectful dialogue, did send a very important message out to Mexicans in general that, you know, Lopez Obrador is not looking to confront these guys head on. This may disappoint some of the more radical sectors of the Lopez Obrador supporters, but you know, Lopez Obrador is making a strategic move here to show that he wants to have unity in Mexico, and he’s not looking to divide the country. SHARMINI PERIES: And John, very quickly tell us about the ways in which this Lopez Labrador’s campaign may be derailed. If it isn’t a coalition between the two parties, PRI and PAN, what other issues, or what other circumstances might get in the way of a Lopez Obrador presidency? JOHN ACKERMAN: Well, you know, there are very small but very powerful groups of people both in government and in the private sector. These oligarchs who are determined, going to the mat to stop it. So those are the ones who are funding these robocalls to millions of Mexicans. Those are the ones who are going to be pressuring recipients of social programs to, you know, conditioning the future of their, you know, government scholarships or government supports for single mothers, for instance, on a vote for the PRI. There’s, you know, a lot of money, a lot of political power, who is, that invested in stopping Lopez Obrador. But you know, if these numbers continue, you know, 10, 20 percent ahead, it’s going to be very difficult for fraud to win. I mean, there will be an attempt. They’ll definitely be an attempt at fraud. But it looks like the Mexican people are waking up enough so has to create a large enough mass of support for Lopez Obrador to be able to wash away those attempts that’s brought by these small, powerful people. SHARMINI PERIES: All right. John, I thank you so much for joining us today. 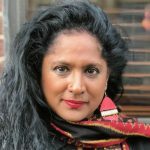 JOHN ACKERMAN: Thank you, Sharmini. A pleasure.